This page shows the latest voxilaprevir news and features for those working in and with pharma, biotech and healthcare. The approval is believed to be the first for voxilaprevir anywhere in the world. 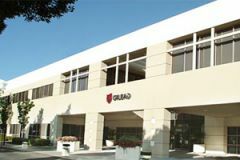 ... Gilead has also filed for the sofosbuvir, velpatasvir and voxilaprevir therapy in the EU, winning an accelerated review from the EMA in January. virus (infection) - AbbVie's Maviret (glecaprevir/pibrentasvir) and Gilead's Vosevi (sofosbuvir/velpatasvir/voxilaprevir). Seeks FDA approval for combination of Epclusa and voxilaprevir. The new generation of directly-acting antiviral (DAAs) have transformed the treatment of hepatitis C virus (HCV) infections - but not all patients ... inhibitor called voxilaprevir. Gilead’s hepatitis C sales start to slide – the question is how quickly? well as a triplet therapy based on sofosbuvir, velpatasvir and voxilaprevir that is in four late-stage trials.